The central conceit of Sebastián Cordero's Rage (Rabia) may seem a bit far-fetched, but that is often one of the great things about movies. They make the implausible seem plausible, and often the unbelievable seem absolutely believable. Such is the case with the best supernatural thrillers, and even though there is nothing supernatural about Rage, Cordero (along with producer Guillermo Del Toro), treats it as if it were a ghost story. And what a ghost story it is. There are no actual ghosts in this haunted house thriller, but it's one of the most effective films of its kind to come along in years. 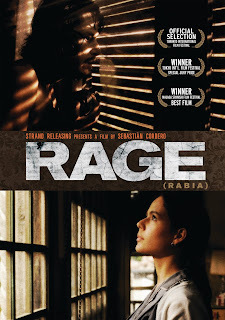 Rage is the story of two Colombian immigrants living in Spain - one, Rosa, is a maid in a cavernous, old fashioned mansion. The other, Jose Maria, is a construction worker with a vicious jealous streak. The two meet and fall quickly in love, but in a fit of jealous rage, Jose Maria accidentally kills a man, and must hide from the law to avoid being deported back to Colombia. Rosa is heartbroken, and also pregnant with Jose Maria's child. What she doesn't know, however, is that Jose Maria has taken up hiding inside the very mansion she works in, haunting its halls and crawlspaces like a shadowy, restless spirit. As Rosa must deal with losing Jose Maria, her new baby, and the ever encroaching investigations by the police, not to mention her responsibility to her employers, Jose Maria grows ever bolder - a living ghost in an eerie mansion watching over his lost love - but as his rage grows, the spirit soon turns violent, and soon no one is safe. It's a fresh, entertaining twist on an old genre. 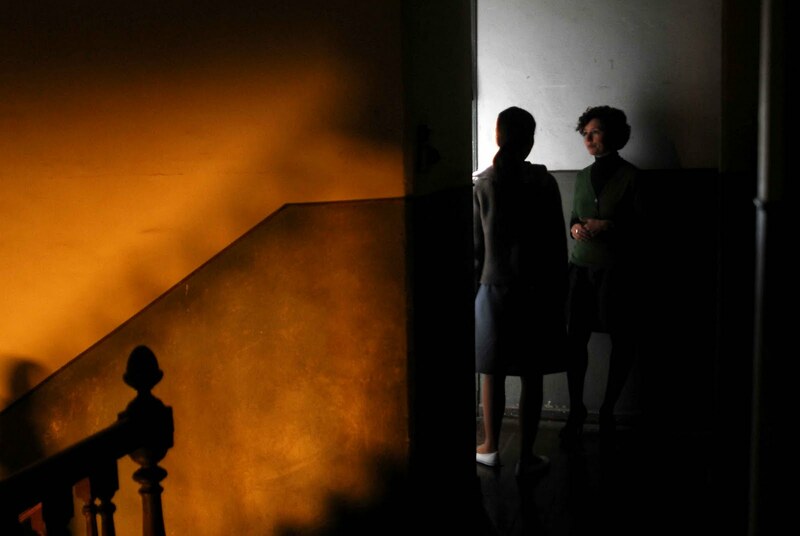 Cordero ramps up the spooky atmosphere, keeping the film on an even keel and consistently engaging. It's a moody Gothic thriller with a decidedly new fashioned sensibility, taking an outlandish premise and making it eerily believable. The ending, on the other hand, is a bit of a letdown. Cordero expertly ratchets up tension and suspense until coming to a satisfying and natural conclusion about 10 minutes before it actually ends in what feels like a weak cop-out of an ending. While there is a beautifully orchestrated love story flowing throughout the film, the ending ties it in a cloying bow that feels tonally separated from what came before it. This is a ghost story, first and foremost, which makes it essentially a horror film, and as such the ending feels emotionally dishonest. The lead-up, however, is a perfectly modulated thriller that relies on atmosphere and mood to set the audience on edge. Even though Guillermo Del Toro produced the film, it lacks his distinctive visual style, while still maintaining the feeling of one of his works. There is a haunting elegance at work here, a kind of sinister regality that keeps the film both interesting and engaging, even though it goes off the tracks a bit in the final act. There is a lot to respect here, though. Rage is a ghost story for the 21st century, a fine genre film with a truly original and surprising concept. 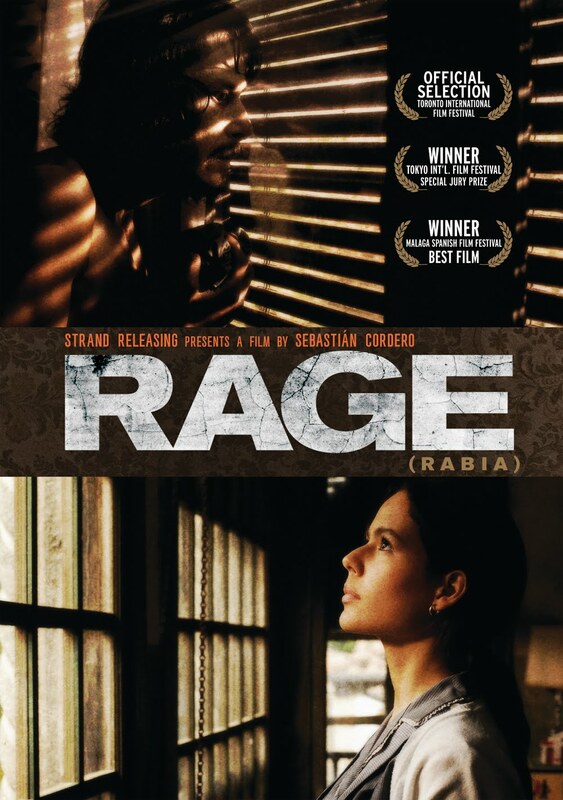 RAGE (RABIA) | Directed by Sebastián Cordero | Stars Gustavo Sanchez Parra, Martina Garcia , Concha Velasco , Xavier Elorriaga , Iciar Bollain | Not rated | In Spanish w/English subtitles | Coming to DVD from Strand Releasing March 8. Enter to win a copy of RAGE! Send an email with your name and address to contests.fromthefrontrow@gmail.com for your chance to win. Winners announced March 8!